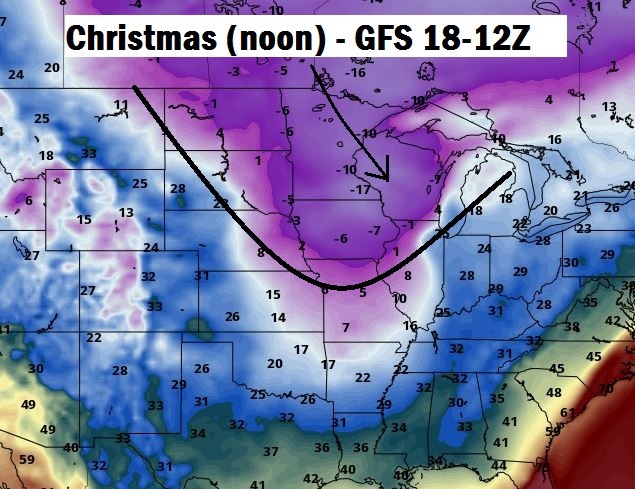 Christmas week will be very cold for Wisconsin, the northern plains, and the Great Lakes. 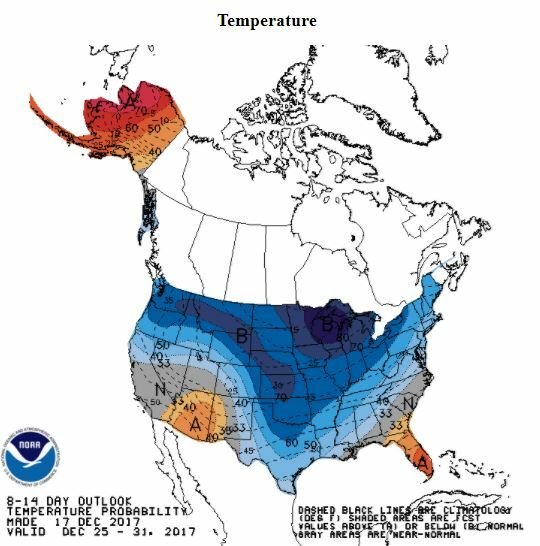 The Climate Prediction Center has highlighted Wisconsin with an 80% chance of below average temperatures during the 8-14 Day period (12/25-12/31). CPC 8-14 Day temperature trend prediction showing tendency to far below average temps. The temperature slide will begin this weekend following our storm. The latest GFS forecast model simulations borderline on brutal early next week with high temperatures struggling to reach 0F on Monday and Tuesday. I would expect temperatures to get warmer during the second half of the week but there are signs brutal cold could linger. The winter solstice (shortest day of the year) is this Thursday, December 21. It makes sense that the coldest temperatures of the year SO FAR would occur shortly thereafter.